A patented cam lock clamping feature secures workpiece for easy accurate cutting. 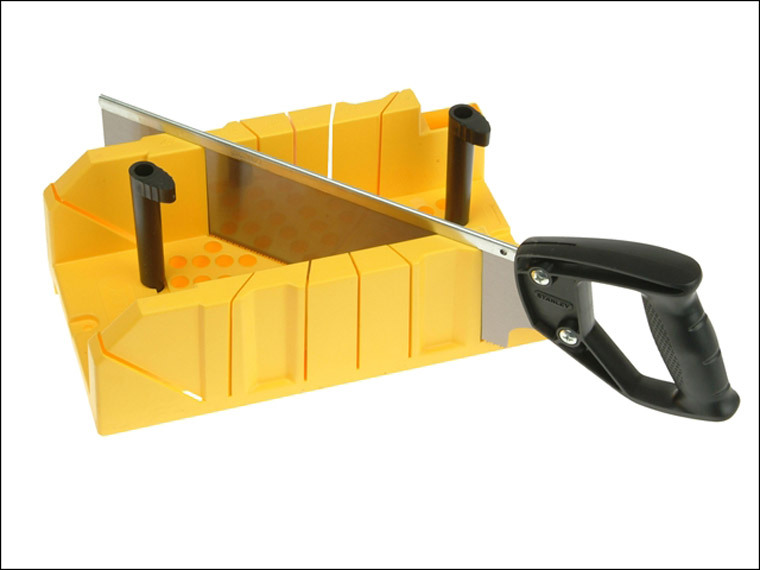 A built-in saw stop prevents cutting into the mitre box. The mitre box has 90° and 45° mitre slots as well as 22.5° slots for octagon shapes and is of a one piece injection moulded design for extra strength. Available with or without a fine tooth tenon saw. Comes complete with Tenon Saw (Fine Tooth).